The first proposal for the Great Northern Railway was submitted in 1844, and despite concerted and relentless opposition the company received permission to start construction through an Act of Parliament in 1846. The reason for creating the new line was to provide a speedier service to York, and from there via other companies to the north of England and Scotland. Throughout its life, the company was in fierce competition for traffic with other routes leading north from London, so ensuring it remained the premier route was vital. 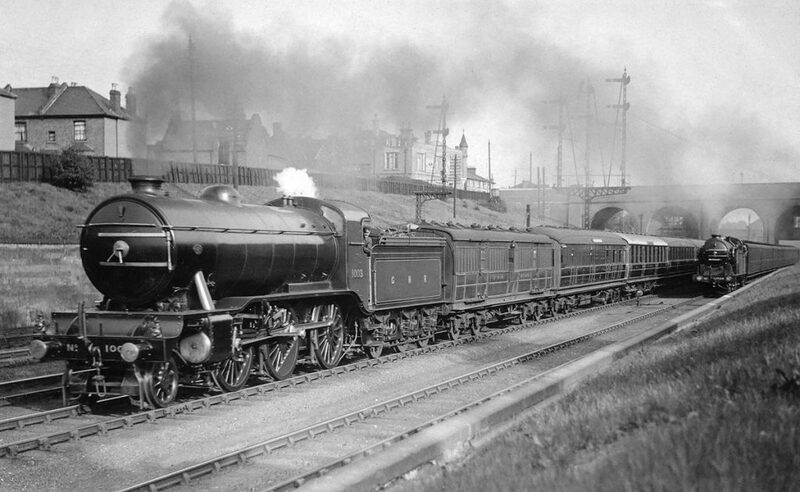 The competition eventually led to a number of events called “The Race to the North” between the East Coast Main Line and the West Coast Main Line. The races, officially denied, were the talk of the newspapers in the 1890s, and the rivalry continued between the LNER and LMS after grouping. The need for speed led to iconic locomotives such as the Stirling Single and the Ivatt Atlantic, both of which have examples preserved in the national collection. But the GNR wasn’t just about speed, as the company was involved in the provision of workmen’s trains that encouraged the movement of artisans and labourers out of London and into the Suburbs. The GNR Society exists to preserve records and to research the GNR, its staff, its assets and its history. It has a thriving membership with debates via its own active forum, the Great Northern News and meetings. The summer sees the Society host a number of ‘Summer Days Out’, all of which are available to members. Becoming a member of the GNRS will give you access to the knowledge of our members – no query is too niche, and every enquiry drives further research and discussion. Photo: Gresley H4 LNER K3 Doncaster build 1920 renumbered 1803 in 1946 and withdrawn in 1961. Alongside is an N2 on suburban train.